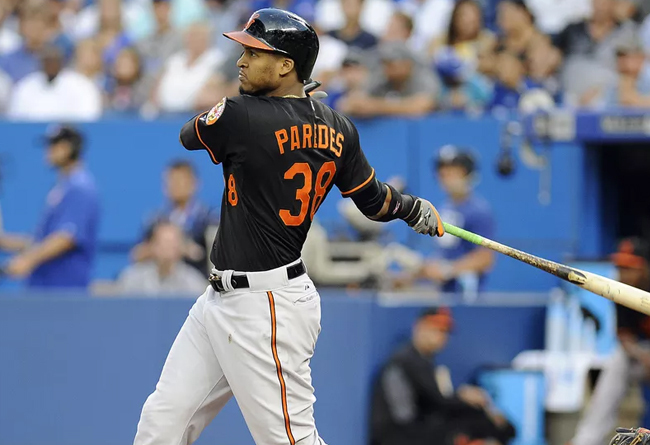 (Bridgewater, N.J., March 19, 2019) - The Somerset Patriots today announced that six-year Major Leaguer Jimmy Paredes has been signed for the 2019 season. He was acquired in a trade with the Lancaster Barnstormers for a player to be named later. The Dominican Republic countryman spent parts of 2011-2016 in the Major Leagues, split between five different teams. He broke into the “bigs” with the Houston Astros in 2011 after he was acquired in a trade with right-handed pitcher Mark Melancon from the New York Yankees for 1B/OF Lance Berkman. Paredes spent three seasons with the Astros before he split 2014 between the Kansas City Royals and Baltimore Orioles.